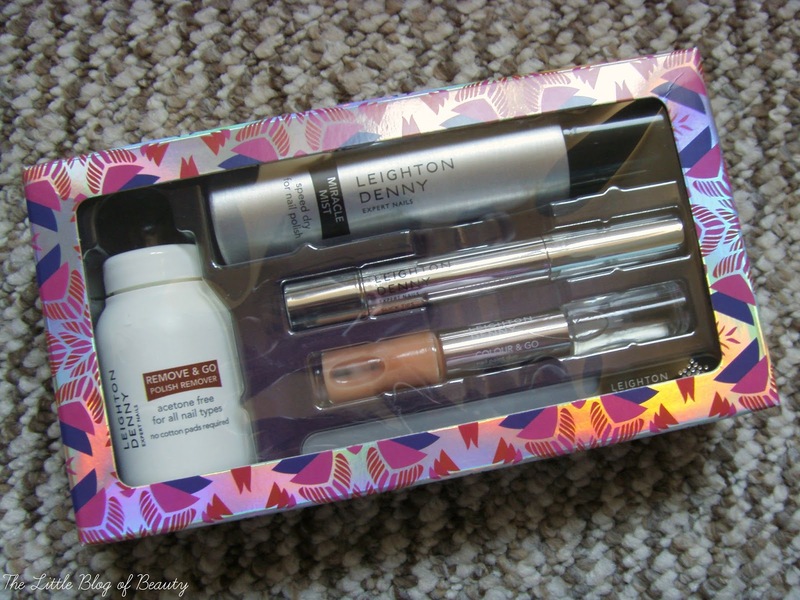 Around Christmas time Look Fantastic ran a competition to win a Leighton Denny Easy peasy mani set. As a fan of Leighton Denny's nail varnishes and a fan of anything to do with nails in general I entered and was lucky enough to win. I don't know if this was intended as a Christmas set but it is available to buy on Look Fantastic for £27.50 and I believe you can buy at least a couple of the products individually. 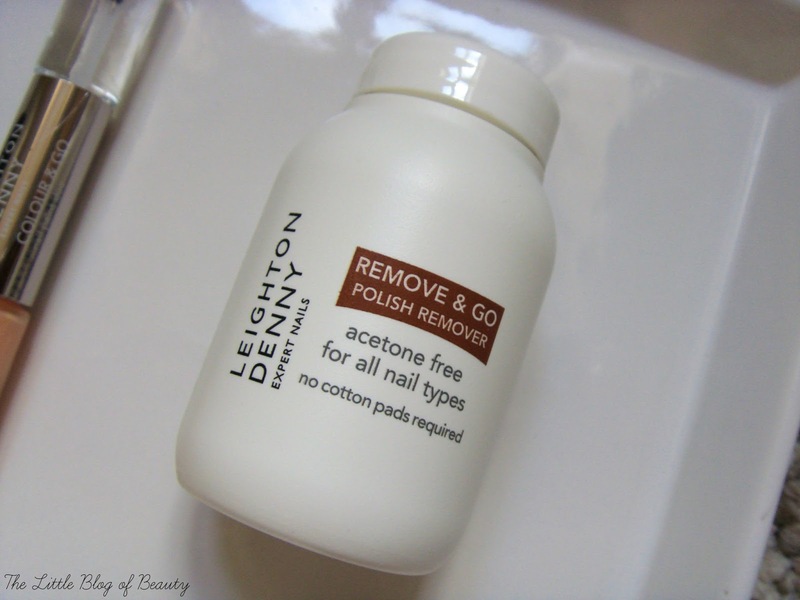 Starting with the Remove & Go nail polish remover (£6.99). I'm sure you've all come across these before by now but if not the idea is you dip your finger, wiggle it around a few times and when you take you finger out your nail varnish should have been removed. This was the first product I tried and when I first unscrewed the lid I thought the smell was quite strong. Not a nail varnish remover type smell but something else that I wasn't keen on. It was only when I'd only got two fingers left to do that it dawned on me why I disliked the smell so much - lavender. As you may be aware I can't stand the smell of lavender and I'm also allergic to it. So I quickly finished off my last couple of fingers (I thought I might as well as I'd done all of the others), washed my hands and handed this over to my mum to use. As I said I did give this a try and it worked well, but be warned this does smell quite strongly, so strong you can actually smell it through the lid. I try to take good care of my nails and have been curious about trying a glass nail file so I was really pleased to see the Crystal nail file included. These are supposed to be much gentler on the nails than harsh emery boards and so far I'm really impressed with this. It files the nails with ease, definitely feels more gentle and appears to produce less 'dust' when you file, if you understand what I mean. They also last a lot longer as you can wash them to remove any build up and it should be as good as new. The only downside to this is occasionally it can send a vibration up your finger and that sensation goes right through me. Despite that I won't be going back to traditional emery boards. I haven't really come across anything like the Colour & Go nail paint duo before. I've seen similar things containing a nail colour and some kind of effect top coat to go over the top, but not one with a base and top coat in. 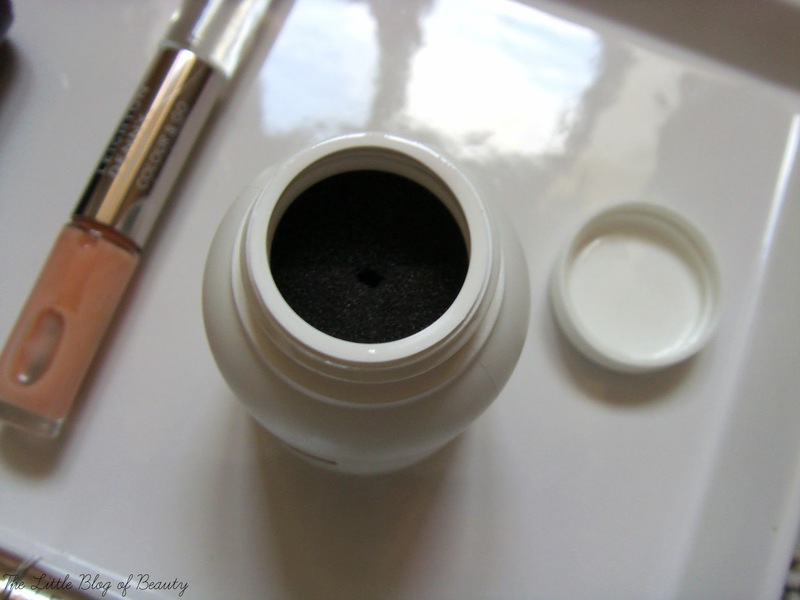 This one contains a Matte finish base coat and Fast dry top coat. I like the idea of this, as it will be handy to take away with me when I stay at my boyfriend's, however I think it will take a little getting used to. One issue with this is that when you're using it it's quite top heavy, because you the other side attached to the brush you're using, and this makes it a little difficult to be precise. It's not too much of a problem with a base/top coat but if it was a nail colour it would make things a bit more difficult than normal. Also as the bottoms of the bottles are quite slim I'm a little concerned about accidentally knocking one over while using them. 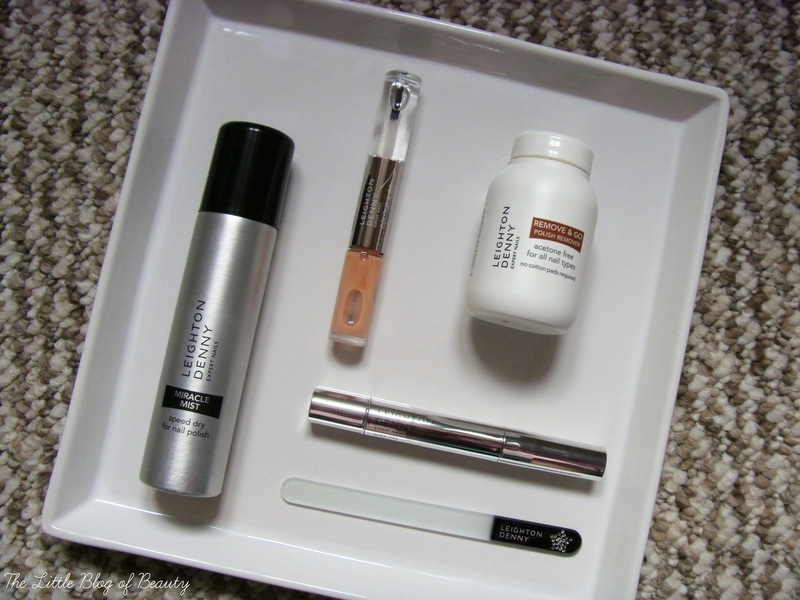 Despite that the base and top coats are both very good. The base coat provides a very matte base on the nail that I'm not used to but works well and the top coat is fast drying and very glossy. So a big thumbs up for both of those. I've been suffering with really dry skin around my nails recently so I've been slapping on cuticle oils and creams trying to ease the dryness. I've used bottle oils but haven't actually used a pen like the Slick tips touch & go cuticle oil (£12) before. The most annoying thing about these kind of product dispensers is definitely when you first start using them and have to click them round a billion times before it actually starts to dispense any product! Once this one does start dispensing you get a light, citrus scented oil and all you do is just brush it on around your cuticles. I usually brush it on, leave it to absorb and then massage in any remaining oil after 10 minutes or so. It smells amazing and really helps to keep your cuticles and the skin around your nails moisturised. 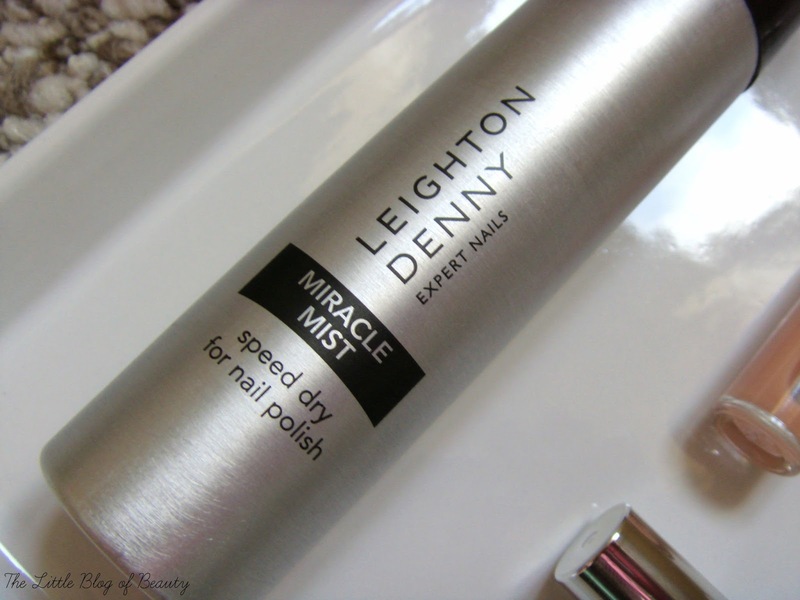 The final product was the Miracle mist (£11) which is a quick dry spray for speeding up the drying time of your nail varnish. I've not really been a fan of these in the past as they often leave your fingers oily and I prefer to just use a quick drying top coat. Back in April last year I put the Elegant Touch rapid dry for nails through the 60 second challenge and I think I'll do the same with this one and report back on my findings. So I'm really pleased with this little set. There are some great products in there and it's very good value considering the three products I could find online come to £30 and at a guess the other two products are probably worth around £10/£11. 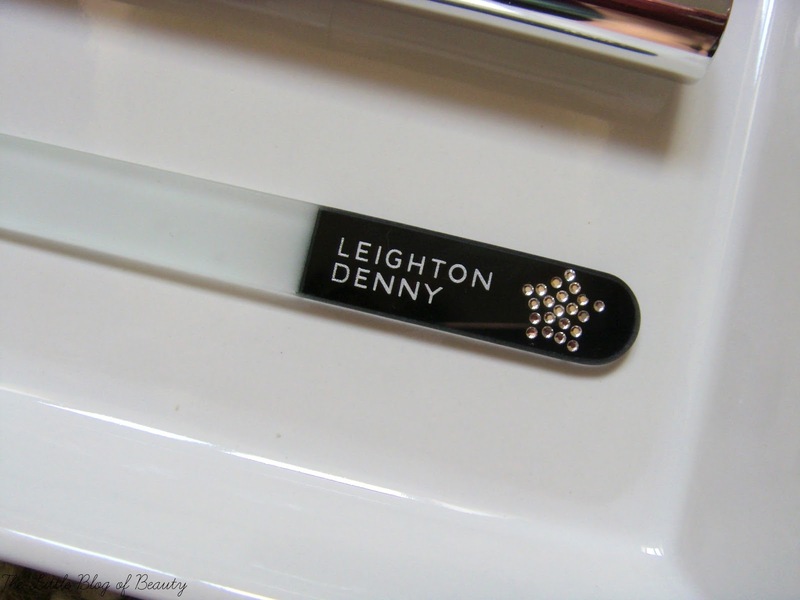 Are you a fan of Leighton Denny?